Three conservation groups asked a federal court Monday to stop coyote hunting in five coastal N.C. counties, saying the practice is killing lookalike red wolves. Five of the endangered wolves have been shot since mid-October, and only the cut-off radio collar of a sixth animal has been found. Rewards totaling $26,000 have been offered for information on the shootings. The N.C. Wildlife Resources Commission allows an open hunting season on coyotes, which have spread across the state in recent decades. 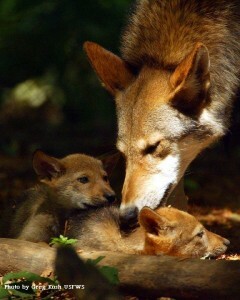 Young red wolves look very much like coyotes.